born in 1969. He graduated with first class honours in the Karol Szymanowski Academy of Music in Katowice (Poland). He took part in numerous organ interpretation courses and master classes, working under the guidance of G. Bovet, U. Spang-Hanssen, H. Tachezi, W. Zerer, J.L. Perrot and A. Isoir, among others. 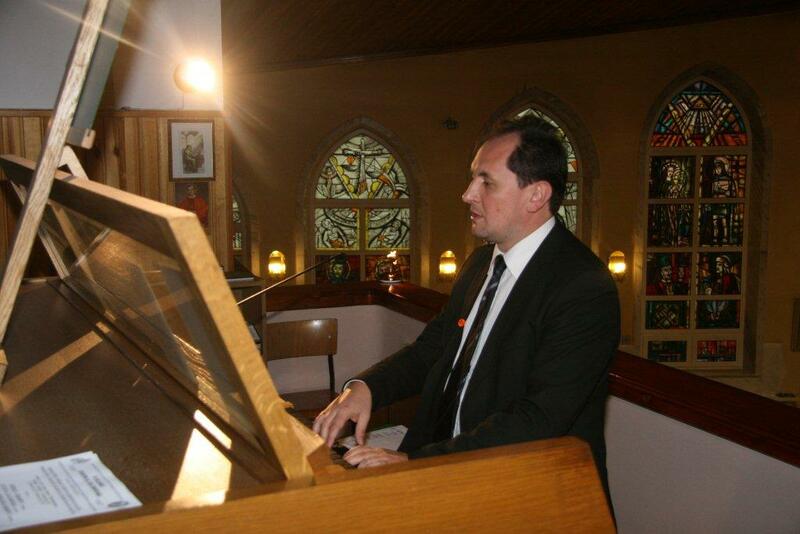 In 1992 he won 3rd prize at the Ist J.P. Sweelinck International Organ Competition in Gdansk. In 2003, under the SOCRATES Programme he gave master classes for the students of Oulu Polytechnic, School of Music, Dance and Media in Finland. His artistic activity embraces recitals and chamber music concerts. He also works with The Polish Radio National Symphony Orchestra and The Silesian Philharmonic Orchestra in Katowice. He has taken part in important music festivals in Poland and abroad (Austria, Italy, Greece, France, Germany, Czech Republic and Finland). He has recorded for the radio, TV and has CD recordings. In March 2011 he defended his postdoctoral thesis and obtained a lecturer’s qualification in the area of musical instruments. He is an academic teacher in the Academy of Music in Katowice, where he holds the post of senior lecturer at the Chair of Organ & Harpsicord. He also teaches organ in the Secondary School of Music in Katowice. born in 1993. 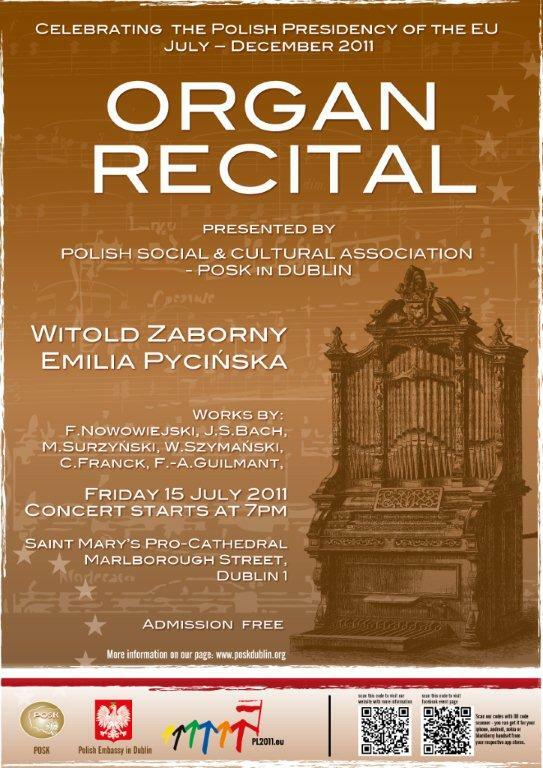 She is a Leaving Certificate student in the Secondary School of Music in Katowice (Poland), studying organ with professor Witold Zaborny. She has participated successfully in competitions held in Poland and abroad. 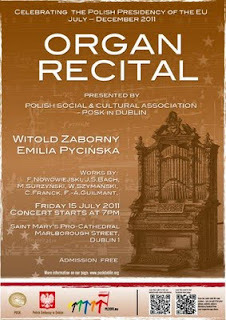 In 2009, at Krasnobród she was awarded a Distinction in the 2nd All Poland Organ Competition “Per Arte ad Astra”. 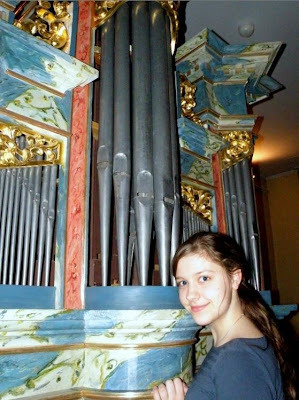 At the All Poland Auditions for Organ Students in Gdansk (2010) she also got an “Honourable Mention”. She won 1st Prize at the Secondary Schools’ Organ Competition in Olsztyn (2011). She has taken part in organ music interpretation courses conducted by J.Gembalski, L. Ghielmi, G. Gnann, O. Latry, B. Oberhammer, J.L. Perrot, D. Titterington and others. She has appeared at many concerts (e.g. on the 100 anniversary of Olivier Messiaen in Christ the King Cathedral in Katowice, a concert in the Benedictine Abbey in Tyniec). She has taken part in different festivals; e.g. 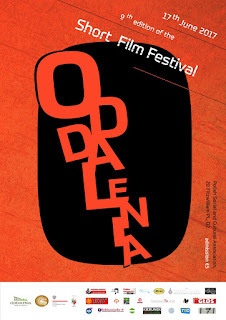 the 5th & 6th Silesian Bach Festivals, the Festival “In Praise of the Great Composers”, etc. Emilia also plays in chamber music ensembles and performs with the Girls’ & Women’s Choir of her own school, acting as an accompanist and a conductor as well. For her achievements she was awarded the Mayor of Katowice’s Prize for the Most Talented Pupil in the Artistic Schools of the Katowice area (2011).